Print out the Merry Christmas Wording Template. Cut out one Merry Christmas panel, and emboss it using the Big Shot machine and the Swirls embossing folder. 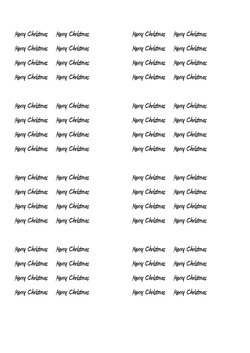 Either right click on the jpg image template (above right) and save it to your computer. Print it from there. 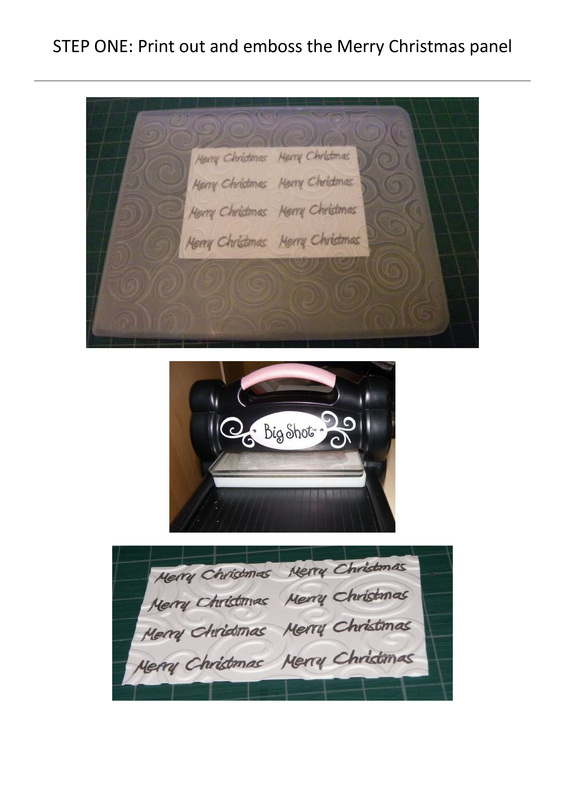 Back your panel with black card by using double sided sticky tape (DSST) to adhere it onto a piece of black card - leave a small even margin on two sides, then using a paper trimmer, trim the remaining two margins to the same size (see pictures for guide). Adhere the wording piece to the black card, aligning two sides with thin margins. Gently tear two panels of card. 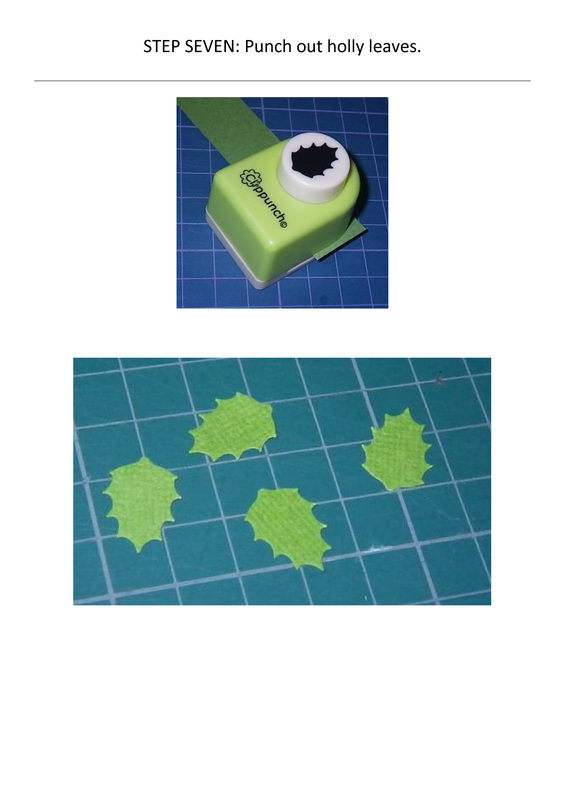 Firstly your green piece (approx 16cm x 9cm before tearing). 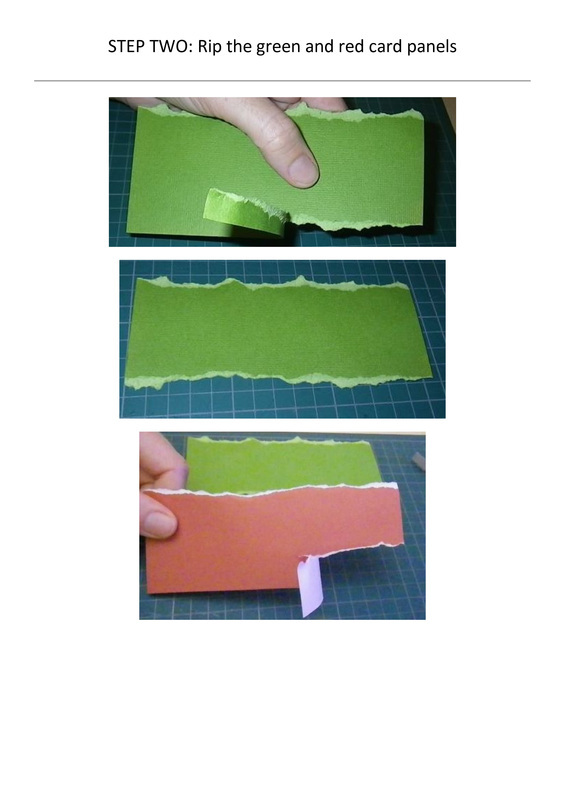 Hold the piece of card in one hand, and with the other hand tear off the edge, pulling upwards (as per picture) to leave a mulitcoloured tear line. 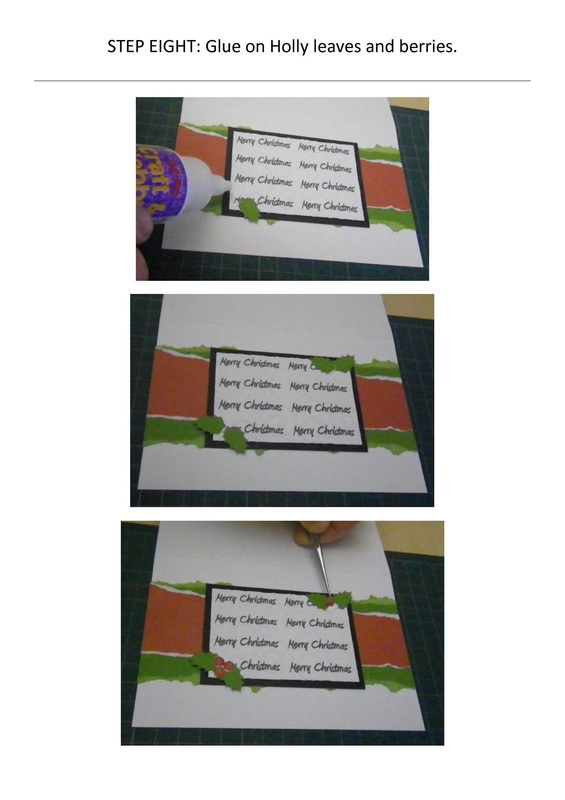 Turn the card around and tear off the other side in the same way. Finished width should be approximately between 6cm to 7cm in diameter. 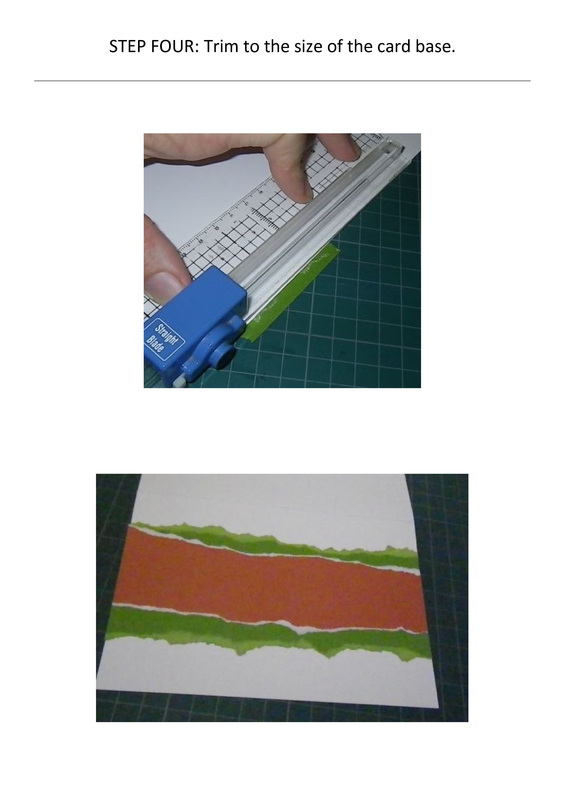 Do the same wth a red piece of card (approx 16cm x 6cm before tearing). The finished width should be approximately 3.5cm and 4.5cm in diameter. 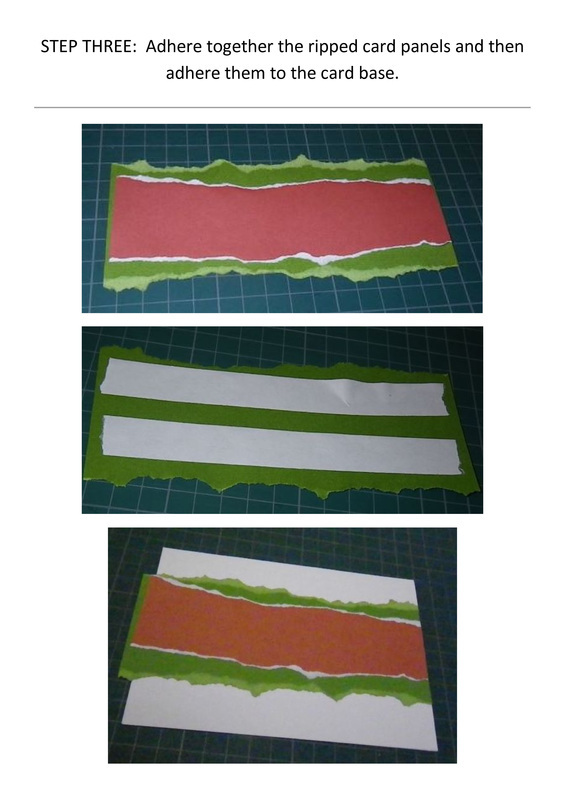 Use DSST to adhere the red piece onto the green piece (see picture right), lining up one edge of the two pieces carefully. 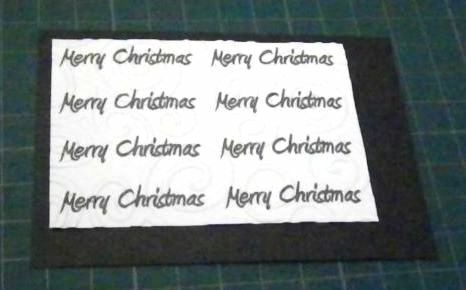 Then use DSST to adhere these onto the base card, again lining up one edge carefully. 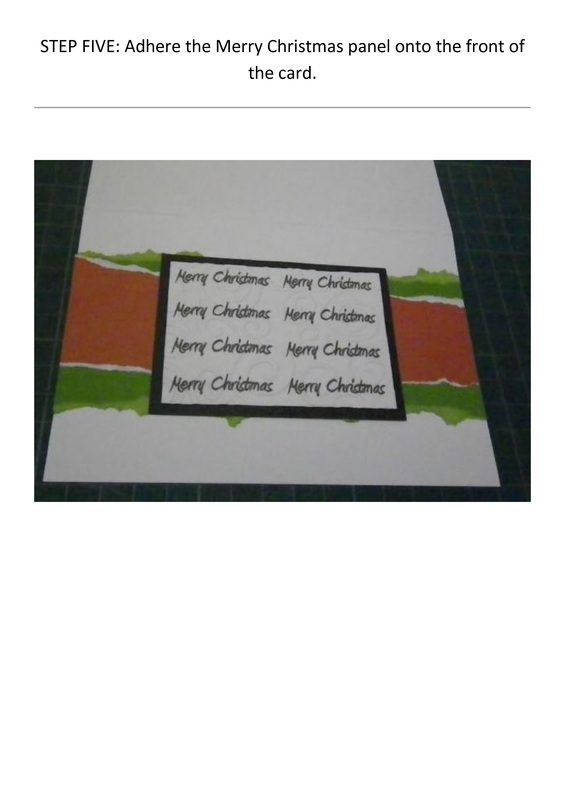 Use a paper trimmer to remove any excess from the edge of the card. 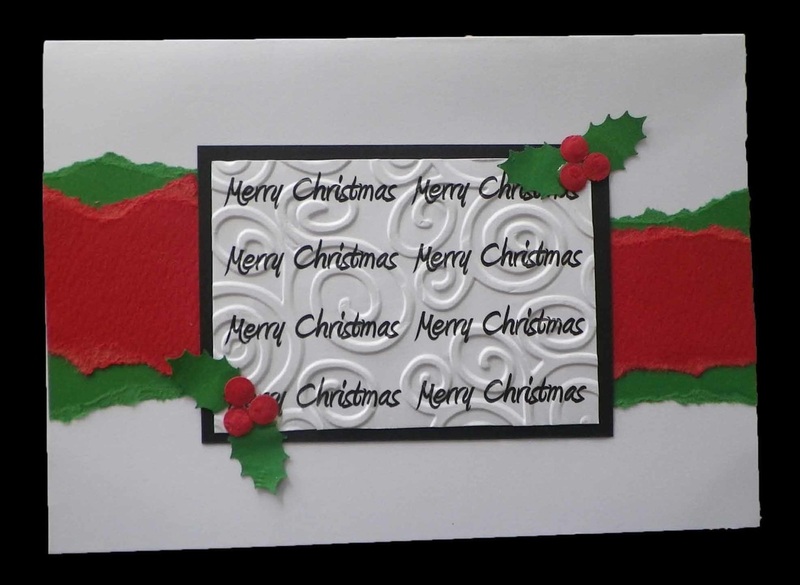 Use DSST to adhere the Merry Christmas card panel to the front of the card. 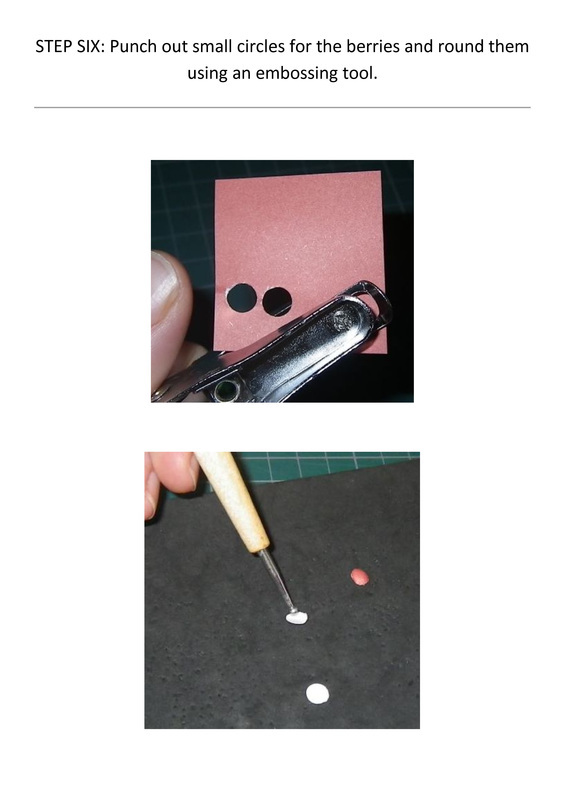 Punch out six small circles for the berries (I used a normal paper punch, circle size aprox 0.5cm). 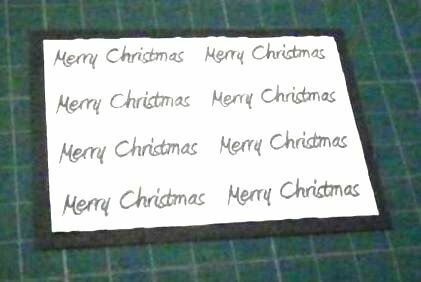 Make them 3-dimensional by turning them over, placing them on a foam or cork mat and rubbing a paper embosser on them in a circular motion. Punch out four Holly leaves. 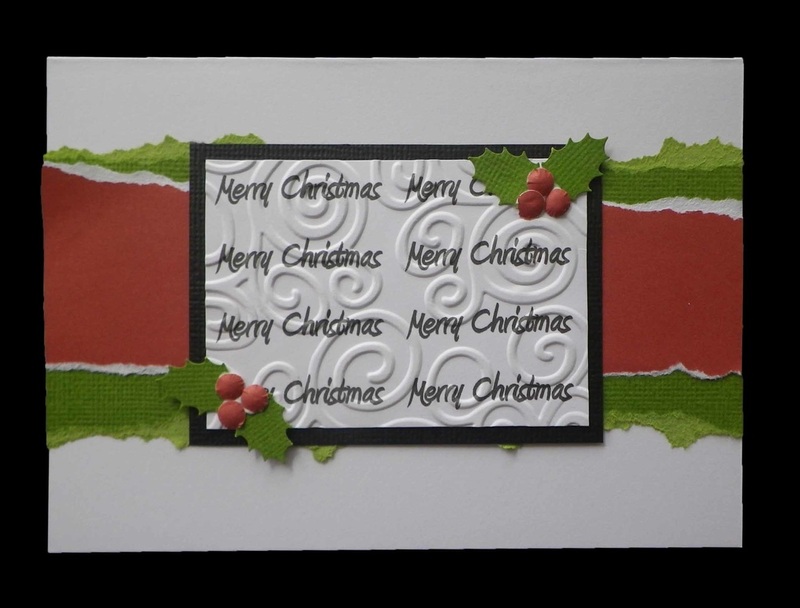 Glue the Holly leaves and berries onto the card.